Generally patients are able to return to desk work within the first 1-2 weeks after surgery although this depends on how the patient is feeling. If your work is labor intensive, you may be off for 6 weeks-3 months. You will need to keep the splint dry and intact until first post-operative visit. Until then, we suggest sponge bathing or wrapping the leg in plastic bags/tape in order to not get the splint wet while showering. Most likely, you will be needing crutches and will not be able to put any weight on the surgical extremity for 4-6 weeks after surgery. If the surgery is a “clean out” procedure, generally you may begin putting weight on the extremity after first post op visit once the splint is removed. Will I need a cast or splint? Typically, you will be put in a hard splint after surgery for about 1-2 weeks. Once the splint is removed, we will place you in a boot. All surgeries vary with regards to the extent of damage. Most ankle surgeries can be performed in a period of 1-2 hours. Most surgeries are done outpatient, meaning you will go home the same day as surgery. Yes, your surgery will be performed under general anesthesia. Some surgeries are performed with sedation and nerve blocks to make your extremity numb during surgery and the early post op period. A minimally invasive surgical procedure in which a small endoscope (camera) is inserted into the ankle to perform surgical repair of damaged tissue. This often times is done through 2 or 3 portals (small incisions in the skin). 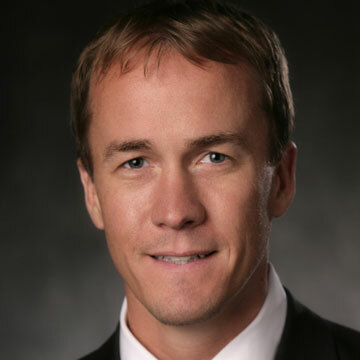 Dr. Van Thiel is fellowship trained in sports medicine and arthroscopic surgery, therefore, the majority of ankle surgery is performed arthroscopically. Some ankle surgeries, such as ligament repairs, will require a larger incision and is not performed arthroscopically. I had an MRI ordered, what can I expect? If Dr. Van Thiel or Carly ordered an MRI of your ankle, once the MRI is completed we will see you back in the office which generally takes 7-10 days and review the results of your MRI and discuss the appropriate course of action at that time. Will you pre-certify my surgery with insurance company? Your benefits will be verified by our benefits department to make sure you are being scheduled at the correct facility. We will pre-certify your procedure with your insurance company if necessary. You will be issued a prescription for pain medication after the surgery and is to be used on an as needed basis. You are able to take over the counter anti-inflammatories in place of the narcotic if this works for your pain. We advise that you do not take narcotics or anti-inflammatories prior to your surgery. PAIN medication refills will be issued from our office Monday-Friday between 8am and 3pm only. No refills will be issued on weekends. What testing will I need prior to surgery? Our surgery scheduler will contact you regarding appointments that need to be completed prior to surgery. These must be done within 30 days of your surgery. Depending on the type of surgery, your age and health, you may need clearance from primary care physician, and may need testing such as lab work, and EKG. If my appointment is scheduled with Dr. Van Thiel will I see him on my first visit? If you are to schedule surgery, please call 815-381-7365 and speak to Jamie to select a surgery date and complete the necessary preoperative testing. Dr. Van Thiel performs the surgery with the assistance of his Physician Assistant Carly Jackson. Patients generally are able to return to sports in as soon as 8 weeks and as long as 6 months depending on the surgery performed. All cases vary and you may have an earlier return depending on the discretion of your physician. If I have questions whom do I contact in Dr. Van Thiel’s office? Our team is here to assist you and make your surgical experience a pleasant one. Jamie is part of our staff and is here to aid with seeing patients in clinic and scheduling of surgery. Nicole will help you to find an office appointment that works with your schedule. If you receive a voice mail please leave a message and we will return your call as soon as possible.